Falltrack - Kenya Biologics Ltd.
FALLTRACK controls and monitors Fall Armyworm (Spodoptera frugiperda). 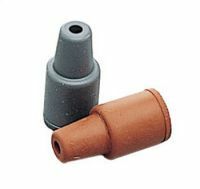 The system consists of the FALLTRACK lure and a trap. The FALLTRACK lure contains pheromones which attract the male Fall Armyworm moth. What to look out for when buying lures? When buying lures it is important to note the amount of active ingredient each lure contains. Many lures on the market today contain a low concentration of pheromone per lure. Each FALLTRACK lure contains a concentration of pheromones which can lead up to three times more catches compared to lures with lower concentrations! The traps should be placed at canopy hieght. Use a strong stick and string to hang the trap. Traps should be evenly spread throughout the field. Replace lures after 8 weeks. Replace sticky paper when saturated. Use one trap per field for monitoring. When catches in monitoring traps exceed 3 moths per trap per week, mass-trapping should be started. Use 4 traps per acre (10 per ha.) for mass-trapping. If pest persists double number of traps in the field. Store the FALLTRACK lure in its tightly closed original packaging locked away from children. At room temperature shelf life is six months; in a refrigerator shelf life is 12 months. 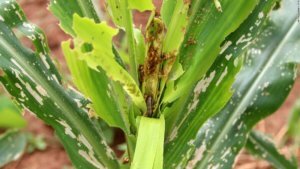 How to recognise Fall Armyworm? Fall Armyworm eggs are just 0.4 mm long and can be found in clusters of 100 to 200 eggs. Young larvae are 2mm long and greenish with a black head, after time they become brownish in colour and up to 35mm in length. 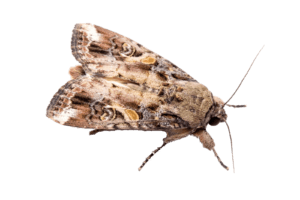 The adult Fall Armyworm is a grey-brown moth with triangular white spot at the tip. The moth is 20mm long. Fall armyworm damages all parts of the crop and can be devastating due to large numbers present.